Both OpenOffice.org and LibreOffice (a derivative of OpenOffice) provide free open-source software packages that are popular alternatives to Microsoft Office. They are both very good tools and highly compatible with Excel. Vertex42 focuses on Excel, so people may not know that we offer 100+ free templates for OpenOffice and LibreOffice as free .ods file downloads, including calendar templates, schedules, financial calculators, budgets, invoices, checklists, and many others. OpenOffice.org and LibreOffice use the OpenDocument Format for Office Applications (a.k.a. ODF), an XML-based file format. What does that mean? Well, for spreadsheets, it means that the files are going to end in the .ods extension. Documents like letters and resumes use the .odt extension. If you are looking specifically for OpenOffice templates or LibreOffice templates, browse Vertex42 and look for the button or link on Vertex42's template pages labeled "OpenOffice," such as the button shown in the image on the right. These will be .ods files. If we DON'T have a separate .ods download, then 9 times out of 10 the Excel file is going to open just fine in OpenOffice and LibreOffice anyway. 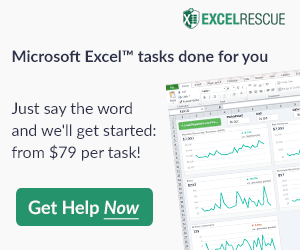 The best way to find a complete list of our spreadsheet templates is to browse the Excel Templates page. You'll also find numerous document templates via our Word Templates page. If you find a template that you'd like to use and there isn't a .ods download and the Excel file does NOT work in OpenOffice, please let me know (you can comment below or shoot me an email). I am just suprised with all the various things that I found available by VERTEX42. I downloaded the blood pressure chart for OO and have entered three days worth of data, but there’s no trend line showing on the chart. Is there a “Calc” button or Function key sequence I’m supposed to click? You might have to adjust the x-axis (or y-axis) scaling if the data is not showing in the chart. How do I get the perpetual-calendar.ods to download and SAVE to my computer rather than opening? I am unable to do anything with the web file that opens. There is no save as option either. It also will not allow me to scrol up to see the first 5 rows of the spreadsheet. Any help would be greatly appreciated. Thanks. what it was! a libreoffice/open office monthly photo calendar. (i appreciate you’re predominantly an excel-ent site). hmmm, and i’d like to put smaller photos in the unused calendar spaces too! would love a template for putting together a portfolio of stocks/Bonds to achieve a balance and total. @Ed, Thank you for the suggestion. An investment portfolio template is on my to do list, but I’ll move it up a bit higher. how do you get a resume from libreoffice to attach to a job application? I have used Visio to design buildings and do electrical drawings. Now that I have Linux. can someone point me to .odt templates which might be similar? Trying to find an Access or Base template for a small business. Customers, who have multiple assets, and repairs on those assets. The closest I could think of is customer, multiple computers, repairs on those computers or customer, car or cars, repair and maintenance. A table for parts would be good, as well as labor and sales tax. Any chance you may have seen one? Right now my budget is just about $0. I’ve seen other templates but I have no idea how to modify. I’ve tried setting up my own and might continue on that, but I’ve run up against some walls. Is this something you might take on? @Mark … I don’t have any database templates right now. I would recommend asking a consultant for a quote, but you mentioned your budget is $0, so I’m afraid I don’t have any recommendations at the moment. You might want to look through the various invoice templates and inventory templates.